I'm a fan of Art Deco anything. 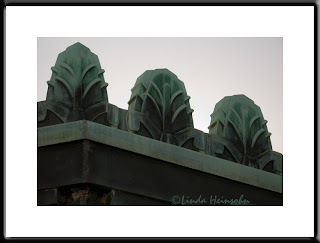 This is the roof line detail at the Griffith Park Observatory, Los Angeles, CA. It kind of looks like three cabbages all in a row.